You would like to highlight a special event, the exceptional contribution of an employee or your customers loyalty? There is so much you can find at À la Boite à Fleurs! Let us advise you about latest trends. Our team will charm you with original ideas, sophisticated packagings and a daring twist! 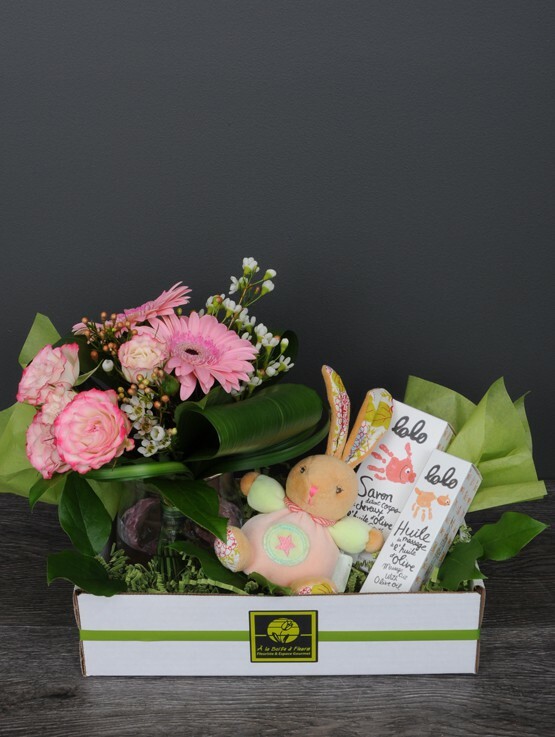 Whatever the occasion, you will find the appropriate gift at À la Boite à Fleurs! Parcourez notre grand choix de produits. In restaurants, in hotel or elsewhere, flowers bring radiance and freshness wherever they shine. Flowers subscriptions are a simple way to provide that touch of elegance to your business and thus to charm your customers. À la Boite à Fleurs brighten up your offices and give life to your workspaces. Distinguish yourself by our custom arrangements, especially created to respect the brand image of your company. Our team will make a fresh look of your offices, freshen up your decor and adding colors and brilliance! Make your daily activities and business meetings easier to schedule! With a wide selection of sandwiches, salads, desserts and beverages, no more need to go out during lunch time. Daring and delicious, our lunch boxes are perfect for meetings with employees and clients. For cocktail party, banquet, launch or any other occasion, choose to entrust our team for the design of a memorable ambiance! À la Boite à Fleurs passionate designers will propose you decor and floral arrangements that will enhance the image of your company! NEW! Simplify the planning of your event with our decor rental service. We offer rental of tablecloths, napkins, sub-plates, vases, curtain walls, lighting equipment, etc.